The Stoney Pinch team are proud of our long held reputation for delivering projects across civil construction, infrastructure, earthworks and demolition to our client’s satisfaction, across the Adelaide and Riverland areas. Our first-class team are dedicated to ensuring every project, big or small, is completed to the same high standards. We deliver projects with a commitment to safety and your budget, so it pays to consider Stoney Pinch for your next Civil Earthworks, Demolition or Construction project anywhere across the Adelaide and Riverland area. Our Stoney Pinch team are all specialists in what we do and as a team we specialise in excavation and earthworks, we deliver high quality large-scale projects on time and budget. We have all of our own necessary equipment for each project we undertake so you don’t have to worry about whether the plant hire contractor has the right vehicles and equipment at the right time for your project. We are a one stop shop for our government, both local and state, developers all the way through to small to medium enterprise clients. We have worked on road projects for new estates as well as upgrades to existing infrastructure to improve road safety for all Adelaide residents. We take ownership of each project we undertake and only ever hand over to the client projects that exceed our client’s expectations and we work hard to ensure every project is one to be proud of. We make it a point to keep our standards high and training our staff is no exception, we have a reputation for being experts and leaders in our field and each Stoney Pinch team member reflects that in every project we complete. Not only do we provide training, we also work to make sure our team are up to date on the latest earthworks and earthmoving industry best practices and we keep our knowledge base broad. So you can rest assured the team of experienced experts looking after your project are industry leaders and your project couldn’t be in better hands. We have worked hard for over a decade to build our strong reputation for quality and safety across the industry and we ensure our team uphold those values on every project. We are fully licenced and accredited for every project we undertake, so your project is in safe hands if it’s with Stoney Pinch. As industry leaders across Adelaide and Riverland, Stoney Pinch provide second to none service and quality across all earthmoving endeavours. With quality service and outstanding workmanship, it would be difficult to find a better contractor for your earthmoving and earthworks project across the Adelaide area. Our team are a passionate group of people who genuinely love what they do and when a team loves what they do, they put in the extra care and attention to details needed for every earthworks project. 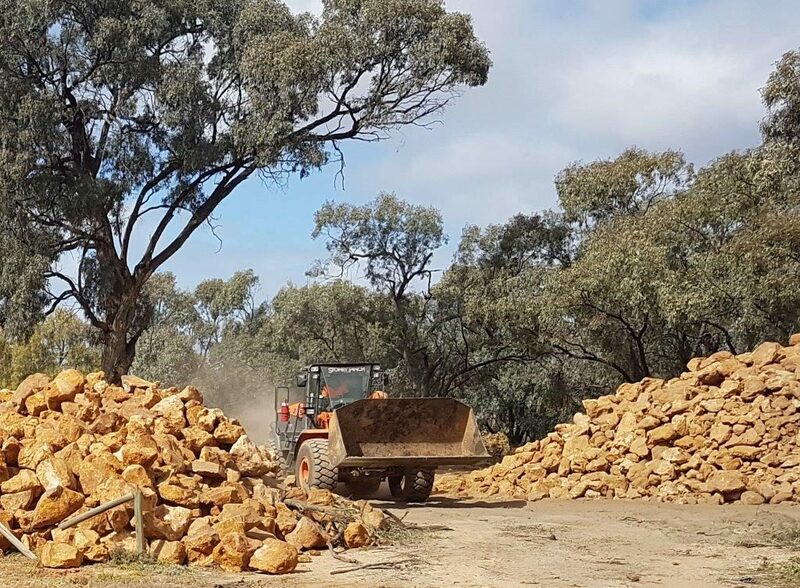 Stoney Pinch Adelaide delivers projects across the civil, road and earthworks industries on time, every time and within budget, because our project management processes have been developed and improved over 25 years of experience across the industry. If you are looking for a qualified, safety conscious, committed Civil Road Construction contractor team in the Adelaide and Riverland area or to seek a quote or tender, give our friendly Stoney Pinch team a call on 08 8586 5990. Get your earth moving with Stoney Pinch! Looking for Excavation Experts? Stoney Pinch has you covered!